Colon hydrotherapy, colonics, and colon irrigation are an age-old health practice that gradually and soothingly cleanses the colon using water. The colon is what most people call their “gut” or their “stomach.” When your “stomach” hurts, you are often really referring to your colon. 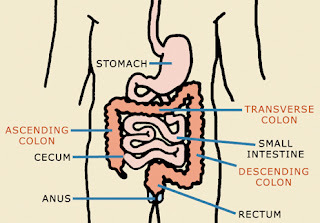 Your colon is located in the lower abdomen, underneath your ribs and between your hips. It lies in this region like an upside-down U, or at least it ought to. 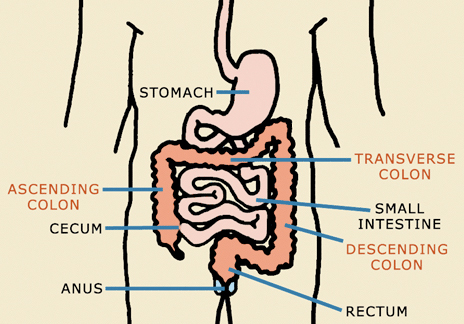 The colon begins where the small intestine leaves off at the cecum and is about five feet long in adults. You may be asking, “Doesn’t it clean itself? We don’t clean any of our other internal body parts.” Actually, we do! We clean our teeth and gums. Just as we brush to maintain the health of our teeth and gums, it is plain good sense to wash our colon. As with the mouth, our colon is harmed, often without our awareness, by our daily choices. We live on a planet that has us regularly creating and ingesting substances that, while passing through the colonic barrier, often damage it, causing Leaky Gut Syndrome. Thus, we risk losing our good health. Preventing harmful bacteria and yeast, environmental toxins, and undigested food particles from circulating in our bodies is a key role that the colon plays in keeping us healthy. By using colon cleansing to clean the colon, you strengthen the integrity of your colon, just as brushing strengthens the integrity of your teeth and gums. We don’t eat well, and even those who do “eat well” tend to eat more sugar and starch than is healthy. We tend to be dehydrated. We live in a polluted world and absorb that pollution into our bodies everyday. We, as a culture, overuse antibiotics. Many women are taking birth-control substances that increase the overload state of the colon. More and more people are on prescription medications that cause constipation. We tend to be undernourished. We are under a tremendous amount of stress in our fast-paced lives. All of these tendencies lead to a breakdown in colon health. As the colon struggles to do its job, so does the liver. In order to have a healthy liver, most of us need to help our bodies eliminate the incredible amount of waste and toxins that are in our bodies. Colon hydrotherapy plays a crucial role in this process, because when we cleanse the colon, we substantially diminish the toxic load in the entire body. With fewer toxins, the entire body experiences less stress and can devote more energy to healing and maintaining a healthy state. For more info check out Good Reasons for Colon Hydrotherapy or Colon Hydrotherapy Overview.